Turtle Racing Snapper Clutch Coming Soon! Losi parts available at DDM soon!! DDM is now an Authorized Losi Dealer! 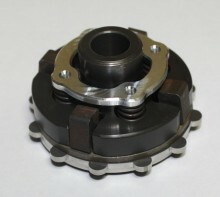 DDM will now be stocking the full line of 5ive and DBXL stock parts along with aftermarket parts. This will probably be the last Turtle Bash this year. Join us! Come out and Join us on Sept 21st for a Turtle Bash! Open at 9:00am, free to all. Bring Chair and work stations.